I love me some referencing. 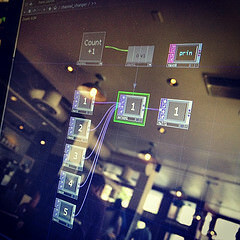 The more you work with TouchDesigner, the more you’ll find that you need a solid understanding of how referencing connects the various parts of your network. 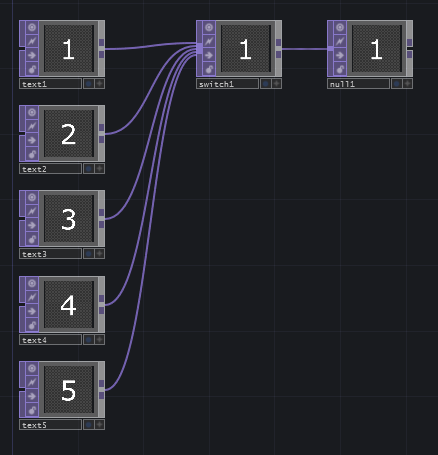 Better still is getting a better handle on how Python scripting works in TouchDesigner – especially dot notation. At the heart of what we’re after is making sure that our networks can start to feel a little more interconnected. Hard coding values makes for tedious programming, especially if you’re building something you’d like to reuse. By starting to think about how to build some logic into the system we’re making we begin to build reusable tools. If you’re still getting a handle on how referencing works, then it’s a good idea to get started here (Understanding Referencing) to get your bearings. Let’s start with a simple example. I’ve got five images that I’d like to cycle through when I click a button. 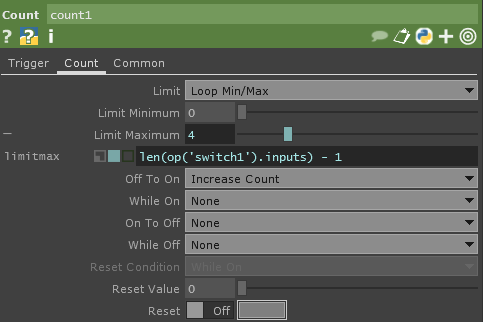 I know that I can use a Count CHOP and a Switch TOP to help with this but how can I make it so that my Count CHOP knows when I add another input to my Switch TOP? In a perfect world I could add or remove images or movies, and the network would just “know” what was going on, right? So how can we program something like this? Let’s start by taking a moment to visit my favorite part of working with TouchDesigner, the wiki. Specifically we need to look at our Switch TOP’s page. 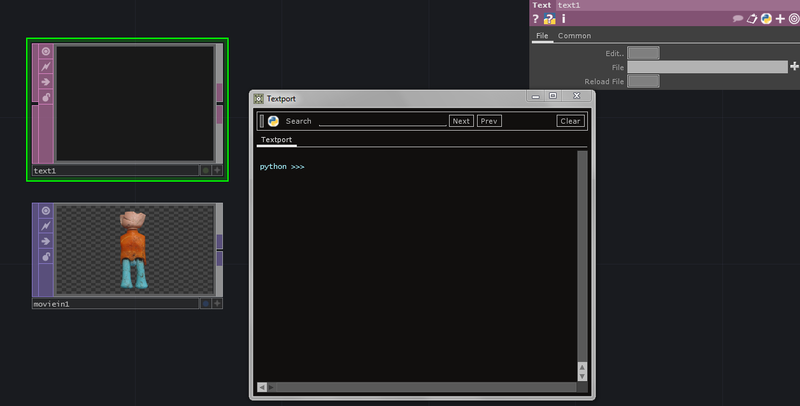 The most important part of this page for us today is here at the top where it says “switchTOP_Class” next to the Python symbol. In object-oriented programming a class is a kind of “extensible template for creating objects.” The exciting part of knowing this is that a class comes with all sorts of methods and values that we can quickly call when scripting. With that in mind let’s take a closer look at the Switch TOP Class page. At this point you’re either beside yourself with excitement, or weeping with confusion. Let’s take a look at a quick example, and see if we can make some sense out of what we’re reading. One of the first things on the Switch TOP Class page is a sentence that says “This class inherits from the TOP class.” This means that there are several things that work for the Switch TOP that also work for all TOPs. This means we can practice on a regular movie in TOP, and what we learn should also work for our Switch TOP. Okay, let’s open up a new network in TouchDesigner, and let’s add a movie in TOP and a Text DAT. We’ll also need to open up our Textport. 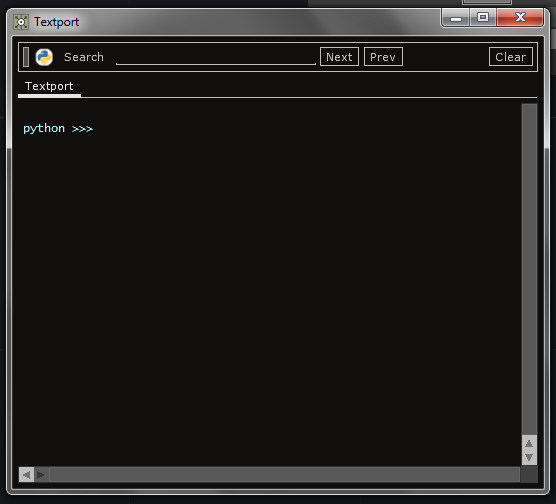 Congratulations, you just ran a Python Script from a Text DAT. 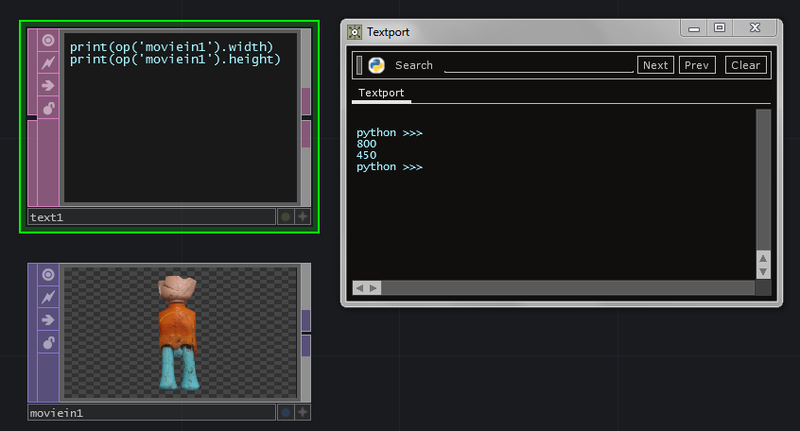 We’re going to use our ability to print to the textport to learn a few more things about our TOP class. We should still have a Movie In TOP in our network. My Movie In TOP is called “moviein1”, knowing the name of our operators is how we call point to them when we’re referencing. Looking back to the general TOP Class Wiki Page, I can see that there’s a member called width and one called height. Believe it or not, we just made some huge progress. Understanding how dot notation works gives you access to a HUGE treasure trove of information that you can use when scripting or writing references. Alright! Now we can start to really make some magic happen. 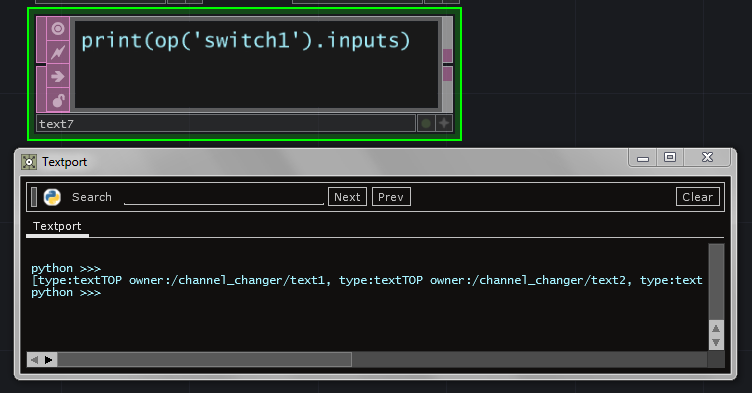 Using .inputs and the len() command we’re able to now see the number of connections to our switch TOP. If you disconnect one of the inputs and run the command again you’ll see the number go down. 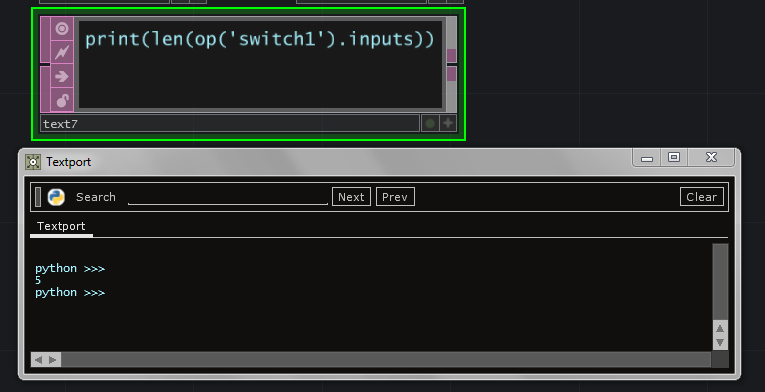 Add a few more inputs, run the command, and you’ll see the number go up. Now you know a little more about referencing, dot notation, and how to find more information in the wiki. 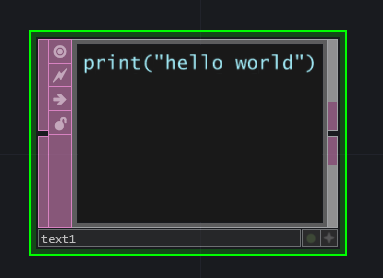 Happy programming! This entry was posted in How-To, Programming, Software, TouchDesigner and tagged Arizona, Arizona State University, ASU, Derivative, Grad School, graduate school, Live Performance, programming, Python, TouchDesigner, TouchDesigner Tutorial on June 27, 2014 by raganmd.